Antwuan Jackson, 6’3” 305 lbs. Senior from Cedar Grove is an AJC Super 11 member and a US Army All-American. From his DT position, he recorded 8 tackles for loss, 2 sacks, 2 forced fumbles, 1 fumble recovery in an imposing 35-7 win by the Saints over Miller Grove. Antwuan is a force at his DT position – opponents can’t run at him and he won’t let them run away from him. He has received over 40 offers from the top programs in the nation. His fall schedule is full with football and campus visits as he is enjoying the recruiting process. 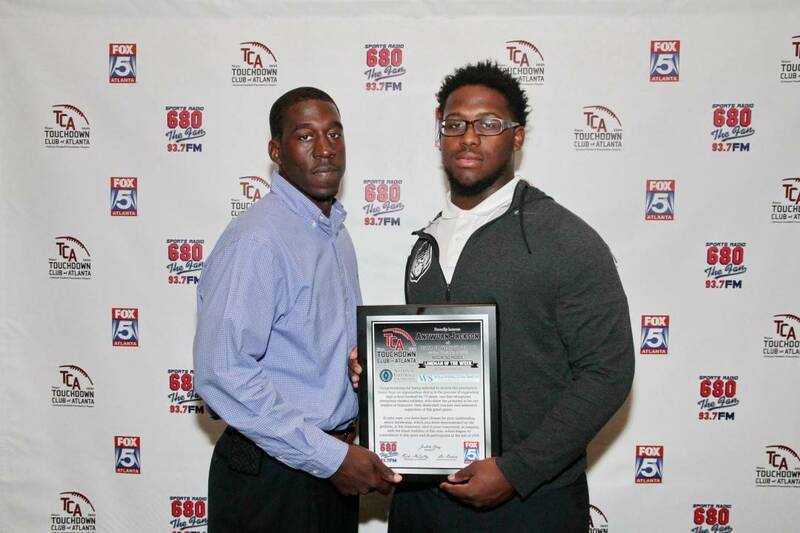 Congratulations to the Lineman of the Week from Cedar Grove, Antwuan Jackson.